Renting is growing increasingly popular in the United States. In fact, nearly 37 percent of households rented their home in 2016. This percentage represented the most American households electing to rent over home ownership in fifty years. Investors are taking advantage of this trend. 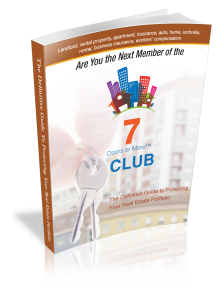 Renting out your property is a great way to supplement monthly income. However, becoming a landlord does not come without risk. You need to protect yourself from liability claims. Read on for a complete guide to renting out your property. Learn tips to maximize income and manage multiple properties at the same time. Can You Select a Tenant? You do have some control over the tenant selection process. However, there are federal laws in place that protect potential tenants from discrimination. According to the Fair Housing Act, you cannot legally make a tenant selection based on race, religion, gender, nationality, family status, or disability. In addition to federal regulations, you must also consider state and local rules. The state of California also has protections in place to protect tenants from discrimination. Instead, a tenant selection should be made on non-discriminatory factors such as creditworthiness or a background check. You can also acquire references and the tenant’s rental history. Ultimately, the tenant selection needs to be made from a financial perspective. Based on rental history and references, can you trust the tenant to make full payments on time? That is the number one question you must ask before making a decision. Receiving prompt payments is key to making your investment worthwhile. The bottom line is that a lease cannot usurp the law. Rather, the lease must be written in accordance with federal, state, and local regulations. If a dispute were to occur, the law always supersedes language in the lease. The tenant also has the right to a habitable living space. What does this mean? You are responsible for providing the tenant with living quarters that are safe and free from environmental concerns. This also means that plumbing, heating, and electricity all must be operable and safe for use. If the water has a high lead concentration and is unsafe to drink, that will not qualify as habitable living conditions. If there is a leak in the roof or mold in the attic, the landlord is responsible for remedying these issues. Disputes over the living conditions in the rental property are the number one source of legislation. How can you Tell if an Investment Property is Worth it? This is the big question for renting out your property. Will the rental property generate enough revenue to be worth the time and liability risk? Many investors use a calculation referred to as the capitalization rate. This is a ratio calculated by dividing the annual rental income by the home’s purchase price. However, some adjustments should be made to the formula to account for additional expenses. From the rental income, you should subtract projected costs for utilities, taxes, insurance, and utilities. To be safe, you may want to build in a month where the property is vacant. If you took out a mortgage, additional adjustments are required to account for the down payment and closing costs. Now that adjustments have been made, go ahead and run the numbers. There is an industry-wide debate over what constitutes a good capitalization rate. Most experts agree that it depends on the amount of risk you are taking on. If the property is new and there is a hearty supply of tenants, a capitalization rate of less than 10% is acceptable. However, the assessment changes if the property is aging and in a declining market. These variables are significant because they may negatively affect the investment. An aging home will require a higher budget for maintenance costs. A rental property in an unattractive market may not appreciate at the same rate other homes will. In these scenarios, you want a larger capitalization rate to justify the risky investment. Landlord insurance is absolutely necessary as standard homeowner’s insurance policies do not cover rental activities. This means that your insurer will not cover any liability or damages that arise as a result of renting. Landlord insurance also helps protect your investment. If a tenant fails to make payments, landlord insurance will cover the missed payments. Another good example is the unfortunate event that the property becomes inhabitable. If you remove a tenant in this situation, the landlord insurance will also kick in. Envision a scenario in which the tenant damages an appliance or a structure within the home. This is another unexpected expense that landlord insurance will cover. Other important risks are mitigated with landlord insurance. Medical and legal expenses are two potential investment risks that it covers. Managing a rental property can be a daunting task. You are responsible for the administrative tasks and maintenance to ensure the property is habitable. You are also walking a minefield of potential liability lawsuits and accounting challenges. There is no shame in seeking out help from professionals. When you are purchasing an investment property, lean on your real estate agent to ensure you pay fair market value. Also, the realtor can brief you on the school system and the neighborhood’s appreciation potential. You should also have a good lawyer handy to help draft a lease agreement on strong legal footing. A real estate lawyer can help you navigate the various federal, state, and local regulations. Tax season will also get more difficult. You may need an accountant to help prepare your annual taxes. 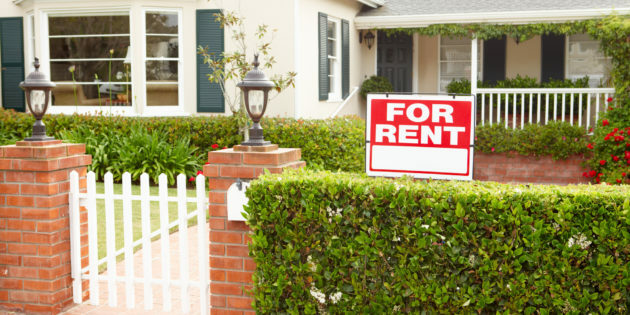 Renting a property can be a great source of supplemental income. However, there are significant risks to be aware of. Most importantly, a good investor will protect themselves with comprehensive landlord insurance. If you are renting out your property and are interested in landlord insurance, please contact us to set up an appointment today.